The Melbourne International Fee Remission Scholarship (MIFRS) is awarded to international students wishing to undertake graduate research degree studies at the University of Melbourne. MIFRSs are funded by the University with each faculty having a limited number to award. Each year the University of Melbourne offers about 150 MIFRSs. The MIFRS covers full tuition costs, but not overseas student health care. Please click on the following link for the conditions relating to the MIFRS, which includes information about duration of awards; commencement requirements etc. To be considered for a MIFRS, applicants need to apply for scholarship and candidature in a graduate research degree course (eg. masters by research, PhD or other research doctorate) at the University of Melbourne. Further information concerning the eligibility criteria can be found in the conditions. Please refer to the application and selection timelines table for international applicants. 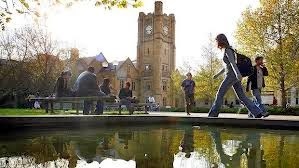 Demikianlah informasi mengenai Melbourne International Fee Remission Scholarships (MIFRS), University of Melbourne, Australia semoga berguna bagi anda.